Happy (almost) holiday weekend! The 4th of July has always been one of my favorite holidays - I think it's the food! This year I'm breaking tradition and instead of going to a family cookout, I'm heading to an awesome fireworks celebration not far from where I live. Street food, live music, amazing fireworks - yes, please! 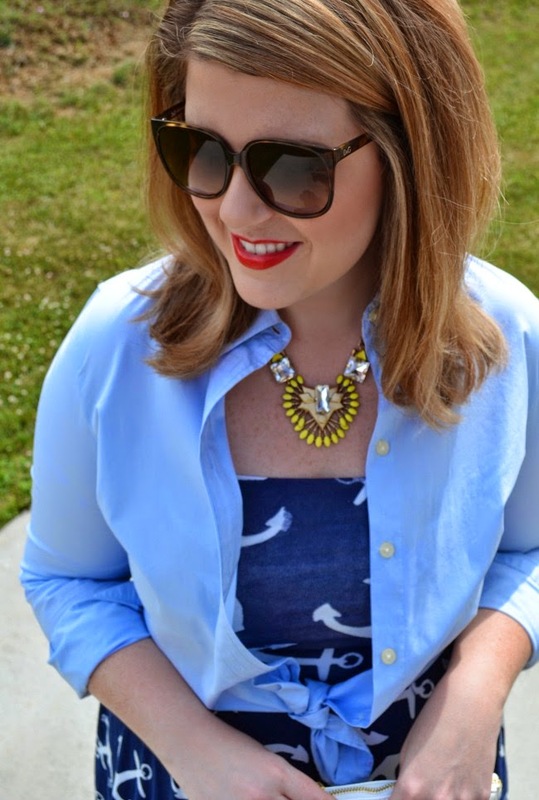 Today I've teamed up with Stella & Dot for the first of two looks that I styled with pieces they gifted me. 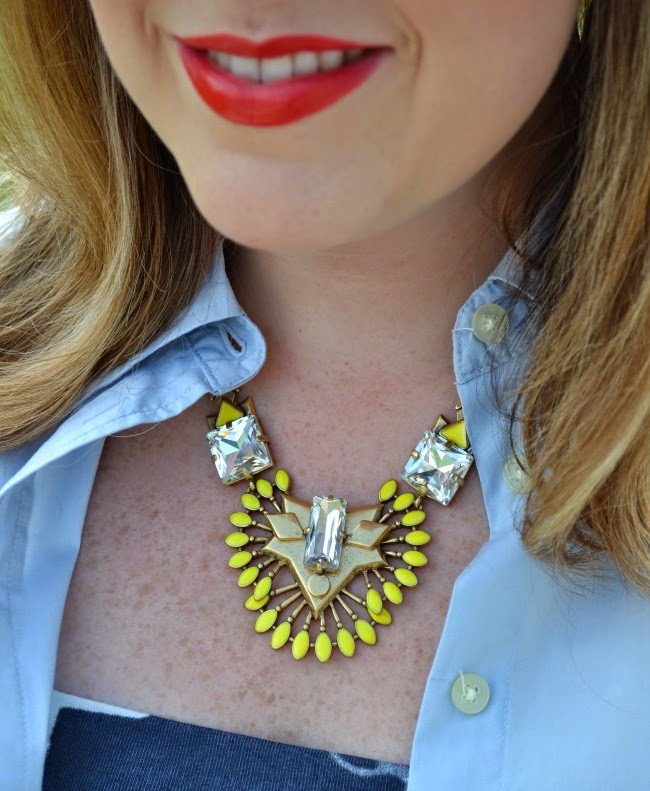 While yellow isn't typically a patriotic color, this necklace reminded me of fireworks and I thought it paired perfectly with navy and light blue (there's also a cuff and earrings!). J. 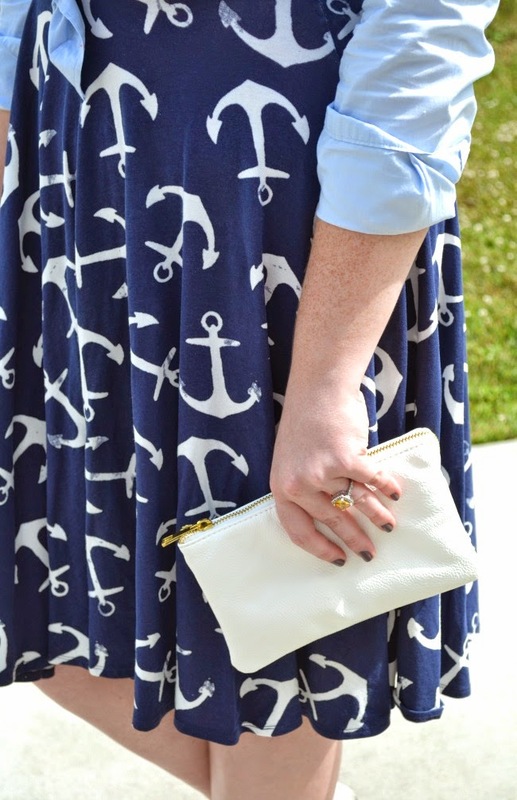 Crew Factory always has some variation of this dress/skirt, this is one that I got last year. Isn't it a great print for Independence Day?! 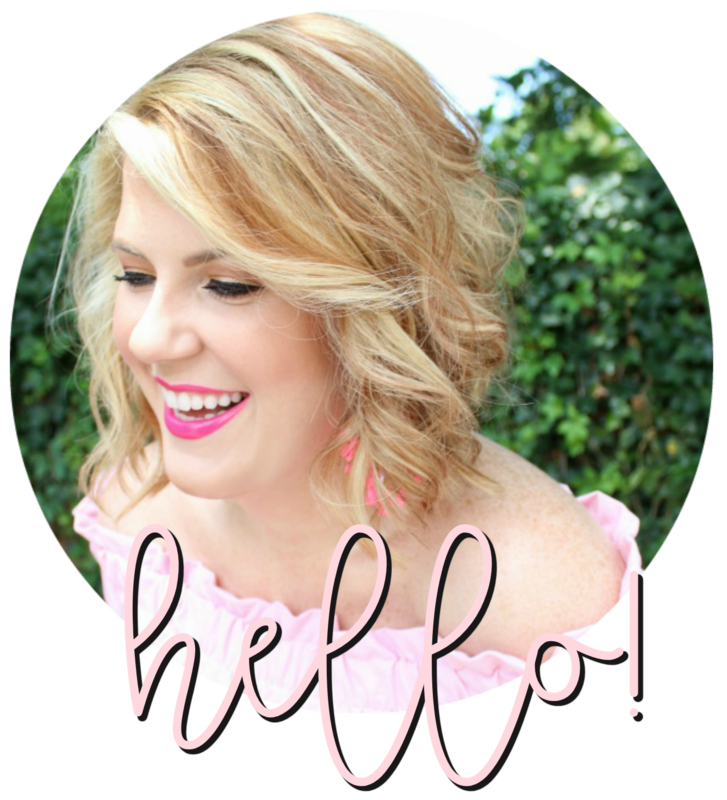 Also, make sure to pop over to the Stella & Dot site - they have tons of great pieces on sale right now! 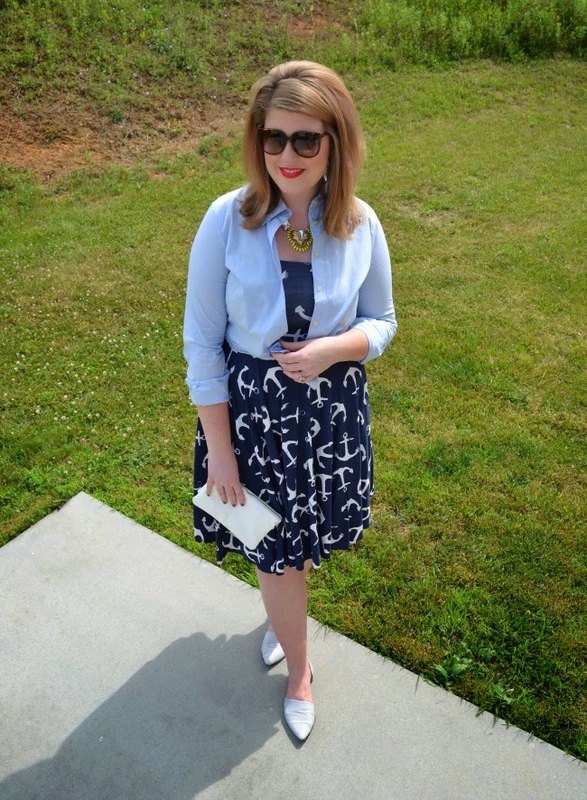 I LOVE this anchor dress, and I love the blouse over it..
Adorable outfit! 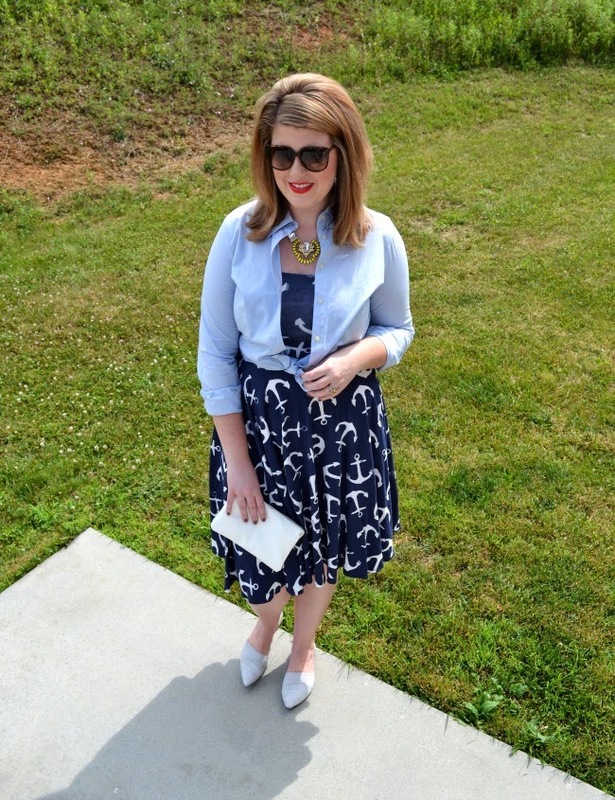 I love how you paired the yellow necklace with a navy dress.